Beautiful beaches, vibrant cities and lush forests make Hawaii a true tropical paradise. However, Hawaii’s dependence on expensive imported fossil fuels for electricity production has created a nightmare for consumers when they receive their monthly energy bill. Unfortunately for the residents of the Hawaiian Islands electricity prices are close to 4 times higher than anywhere else in the United States. But, luckily for Hawaiian Islanders, the cheapest and most abundant source of free energy in the world is readily accessible: The Sun. Did you know that just one day of sun in Hawaii can produce way more energy than existing electrical plants will generate for the whole year? Hawaii is an ideal solar market due to high solar insolation values outrageous electricity prices. Last year in Hawaii over $322 million was invested in solar installations. Hawaii installed over 107MW of solar capacity in 2014 ranking it #9 nationally for new installed capacity. The 497MW of solar capacity currently installed in Hawaii is enough to power over 129,000 homes ranking Hawaii #7 overall in the United States. The solar industry in Hawaii has also proven to be very good for the overall economy of Hawaii as well by providing well-paying jobs. There are currently over 115 solar related companies that employ over 2,200 people in Hawaii. The jobs created by the solar industry in Hawaii include manufacturing, installation, sales, distribution, engineering and financing. Hawaii boasts the most aggressive of all renewable portfolio standards in the United States with a goal of 100% renewable energy production by 2045 promising the continued growth of home solar power in Hawaii. A homeowner in Hawaii can benefit from a number of money saving programs that make switching to solar a no-brainer. State tax credits, property tax exemptions, feed-in tariffs and net-metering are all available to qualifying homeowners in Hawaii. Consult one of our Hawaii Solar Experts to see which programs are right for you. For homeowners in Hawaii whose home is a good candidate for solar power, the financial return on investing in a photovoltaic home solar system in can be astronomical. 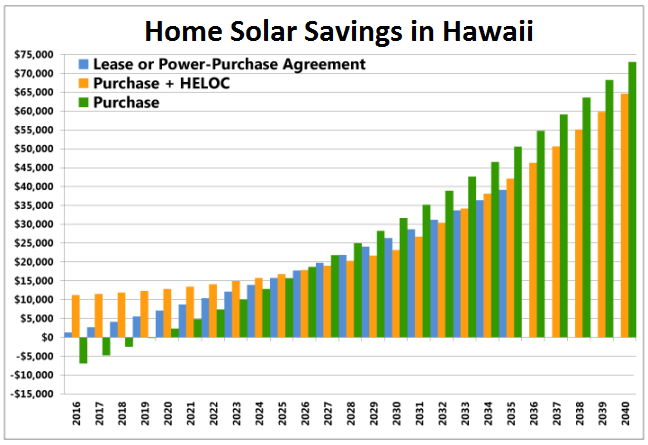 At approximately 4 years, Hawaii has the shortest of all states for home solar payback periods and savings will continue long after the system is paid off. The life of a home photovoltaic solar system is 20 years or more. 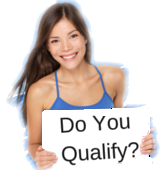 Contact a Solar Consultant to see what programs, incentives and rebates you qualify for.